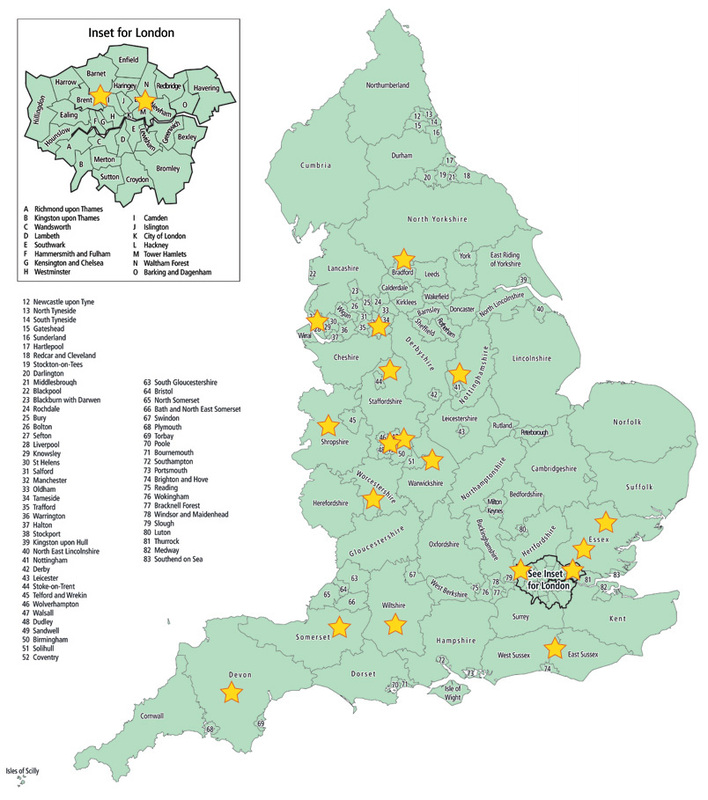 Services in Birmingham, Bradford, Central and North West London, Devon, Essex, Essex (veteran-specific service), Lincolnshire, Manchester, Mersyside, North Staffordshire, Nottingham, Shropshire, Somerset, Stafford, Sussex, Walsall, Wiltshire and Worcestershire have committed to being partners in the programme. They will act as exemplars of how Individual Placement and Support (IPS) can be implemented in localities across England. These areas will demonstrate how to base employment services for people with mental health problems on the evidence of what works best. In each site, the local mental health trust will work with partners in employment services, local authorities and other agencies to offer people effective support to get into paid work. The learning from these sites will be shared with other areas of England. The Centres of Excellence project is based on a similar scheme developed in the US by Dartmouth Medical School, with the support of Johnson & Johnson. Both are offering their assistance to the project to ensure that we learn from international experience and share our learning with other countries. The IPS Centres of Excellence are exemplary in their use of the IPS model and the job outcomes they achieve for people with severe and enduring mental illness. Each year the Centres hold open days during which managers, clinicians, employment specialists and service users share their experience of running and using the service. It is an ideal opportunity for organisations and commissioners interested in setting up an IPS employment service and/or new IPS services that wish to learn from a more experienced service.